t is known that his last effort to speak in public was made in Paris at a meeting organized by our comrades to express the sympathy of Frenchmen for the Russian revolutionary movement. He came purposely for this from Brussels. "But", he wrote to me,"the sight of this fine revolutionary youth impressed me so strongly that I was forced to sit down again after two minutes. His father was a Protestant pastor a quite remarkable man, one of that vigorous race which had upheld many struggles to maintain its right of believing otherwise than was ordained by the Church; a man who lived his whole life loving the peasant, the tiller of the soil. One day, at the age of seventy, he saw in the fields a young peasant burying a horse, dead from anthrax. 'You are young", the old man said to him, "and you are risking your life. I am old. Return home! I will bury the animal." The peasant refused-he insisted; and he worked with the spade alone the whole day. At nightfall the heavy beast was buried. The mother of Reclus was also a wonderful woman. She had spent her whole life in teaching in a school of her own foundation. She was already nearing seventy when she realized that there was a gap in her teaching. She did not know physics. Then she set herself to learn it conscientiously and at the end of a year she was already teaching it to her pupils. The family was numerous; there were fourteen children, of whom Elie was the eldest and Elisée the second. They were very poor, and it is from those times that Elisée gained and kept all his life a respect for bread, which was in his youth so often his only food, and one to which he returned so willingly. A piece of bread and an apple, or some grapes, was all he required to live and work. I do not know where Elisée was during the revolution of 1848, but the facts are that after the Coup d'Etat of 1851, the two brothers were forced to leave France. 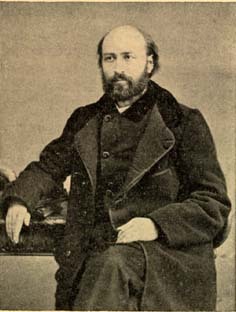 Elisée then spent six years travelling. He lived in Ireland, where he espoused with all his ardour the cause of the Irish people, starved by the English, who had robbed them of their land and killed their rural industries. He journeyed through the famishing villages, and he thus knew the Irish in their everyday life of hunger and misery, and he loved them, always, for all time. After this he went to the United States, and then to Colombia and Guiana a journey which he described in a little book of exquisite loveliness, A Journey to the Sierra Nevada of St. Martha, and which afterwards inspired him with some of the most beautiful generalizations of his work, The Earth. From this journey he brought back a hatred of slavery and a love for the black races outraged by the whites. From the very outset the Commune had had in view a sortie to Versailles, and this sortie took place on the first day of April. Elisée, gun in hand, participated in it. He was taken prisoner on the plain of Châtillon, and he drank the full measure of physical suffering and insults to which the triumphant bourgeoisie subjected its prisoners. "On our entry to Versailles the crowd of bourgeois, with their gallant dames hanging on their arms, received us with all imaginable insults whilst we, with bound arms, filed past them. One man thought I recognized in him a member of the Geographical Society struck me a heavy blow on the head, calling out, 'Oh, the villian!' His lady struck me with her sunshade.... After all the fatigue of the previous night I fainted. Then came all the horrors of the plain of Sartory... the sentinels firing point blank on all who dared rise, tired of wallowing in the mud. Every day batches were led off to be shot... Then came Brest. It was only at the prison of Mont St. Michel that they breathed for a short time. But all the scientific men of England then awoke. Darwin, Wallace, W. Carpenter, and many others of other nations signed a petition demanding the liberation of the "great geographer" who had been condemned to transportation in November, 1871. In Jan. 1872, this sentence was commuted into banishment, and Elisée was able to join his brother Elie at Zürich. The first thing he wrote in Switzerland was The Story of a Mountain, a companion volume to his Story of a Brook, perhaps the most, beautiful of all his writings, wherein he thanked the mountains of Switzerland for the service they had rendered him in allowing him to regain a sort of mental equilibrium after all he had lived through and suffered during the civil war. For in this Elisée and Goethe are at one. As for the one, so for the other, all Nature lives the mountain, the stream, the forest are all brothers and sisters to man. It was, at Clatens, in 1872, that his principal work, The Universal Geography, was begun; of this the first volume appeared in 1876 and the last- the nineeenth - eighteen years later, in 1894. The immensity of this work may be understood if I say that for each one of these volumes, which about 800 pages, Reclus consulted something like volumes and articles. Sometimes an article or a volume was read solely to change, here and there, in the origional an adjective, replacing it by one which would better characterize a certain people, or a valley, or a plain. It is almost impossible to understand how Elisée succeeded in combining such splendid generalization as one finds in his Geography with this infinite mass of picturesque details -- laughing, sombre, or majestic, but always poetical -- with which each volume is so full, that it would be hard to recommend a better travelling companion to a traveller. When one thinks at the same time that a new volume appeared every year, and that the whole was published in weekly numbers, without missing a week, one can hardly realize how so immense a work was ever accomplished by man. And yet there is not one line in this gigantic work which is not written by his hands, either in the first manuscript, which outlined broadly his work, or in the innumerable additions which were made after the first manuscript had been printed in proof. It is especially in the descriptions of great nations, as well as in those of thousands of little peoples, that Elisée excelled. One would think that these descriptions must repeat themselves. Nothing of the kind! And in speaking of the smallest tribe, he always found a few words to inspire his reader with the feeling that all men are equal, that there are no superior or inferior races. It was at Clarens that we became acquainted, and soon all of us had learned to love him by meeting him at meetings, at conventions, and at the informal parties of the Jura Federation. Side by side with the Bulletin, the organ of the Federation, Reclus had started, with Lefrançais and Joukovsky, a monthly review, Le Travailleur. Then when the Révolté was founded at Geneva, he joined us and soon identified himself completely with our paper. To help us, he disdained no work, however small it might be. And later on, when the Anarchist movement took a more violent form, he did not halt half-way; he endorsed all the consequences. He knew how to hate as he knew how to love; and he hated the régime of the bourgeois. The movement which took place in the Lyons and Monceau-les-Mines region also had his entire sympathy. He, who would have used violence with no man for his own sake, understood that the enfranchisement of the workingmen could not come about without acts of violence which would awaken the masses, nor without great struggles between exploited and exploiters. Thus from the moment when the Révolté was menaced with persecution Elisée placed himself entirely at the disposal of the Geneva friends who kept up the paper after I was arrested. It was then that he wrote so often for Le Révolté, and that he delivered in Geneva his lecture on "Evolution and Revolution," of which the Anarchist conclusions scandalized his numerous friends and scientific admirers. He remained the "Communard" he had always been. And later on, in the 'nineties, when so many others, terrified by the bombs at Paris and scared by the theories which were cropping up in our circles as a negation of bourgeois morality, hastened to move aside, Elisée Reclus remained where he was. He took his place amongst those whom the governing classes and the Socialists of the Government had placed outside the law; and he did it so well, so frankly, so openly, that the governing classes of every party, who were at this time exploiting the Republic, vowed an implacable hatred to the Reclus family---at least, to its entire revolutionary branch. Paul Reclus was implicated in the persecution of "the Thirty." His old father, Elie, was arrested, conveyed to the police office, undressed there, and measured according to what these cads of make-believe scientists term, in their jargon, "anthropometry." ... Elisée was not arrested for the sole reason that he was not then in Paris; but the "friends of order" did not spare him any of the venom of their insinuations. Anarchism has already produced a group of characters of marvellous beauty. Elisée was one of the most striking, one of the most expressive. One sees men, very revolutionary in their thoughts, but one cannot help asking oneself --- How will they accommodate themselves one day to the beginnings of the Social Revolution, when they will have to give up many habits of a leisured life or of the life of exploiters of other less lucrative trades and professions, such as we all are, we men of privileged trades? How will they attune themselves to the principles of equality, without which no Social Revolution is possible? Where will they find in their tyrannical souls that tolerance for conceptions of other people side by side with a passionate love for their own principles? Will they possess that equalitarian trend of thought, which is, in fact, the essence of Anarchism? Where, at last, will they find this understanding of the errings themselves of the mind and the passions, which become an element of progress when the dying "twilight of the idols" comes and upsets a decayed régime? Not the slightest of such doubts was possible in regard to Elisée Reclus. He was an Anarchist to the uttermost depths of his mind --to the smallest fibre of his being. Dry bread would have sufficed him to go through a revolutionary crisis, and to work at building up a future full of wealth for all. He managed to remain poor in spite of the success of his beautiful books. The idea of dominating anyone at all seems never to have crossed his mind; he hated down to the smallest signs a dominating spirit. For him, who knew so well all the peoples scattered over the globe, and showing us now the stages once passed through by mankind; for the man of science who could at a single glance retrace in his mind the long martyrdom of man --- for him Anarchism was not a poor lover's dream. It was the conclusion, the keystone of human history, a science; the aim, indicated with as much necessity as is the path along which our solar system is today directed in the infinite space. And Nature--that beautiful Nature which he loved as Goethe and Shelley loved her--was for his mind a physical necessity, so he never let himself be turned away from his path by any of the superstitions which are inspired by the fear of an imaginary other world .... Since Nature, the study of Nature, of history, of man under all latitudes and at all times, had brought him to see in Man--both in the community and in the individual--a product of the surroundings; since he had conceived Anarchism in its sense of progressive force acting through the ages, it was for him no more a vain word, or a far off desideratum. He saw, even today, a better way for men to live without seeking to govern one another. He practised even from now this mode of life, and had he found himself once again in a revolted Commune, his motto would have been: "Anarchism,--straightforward, consequent, audacious, and therefore triumphant!"